SS501 Kim KyuJong and Heo YoungSaeng promised a new start in front of their fans. 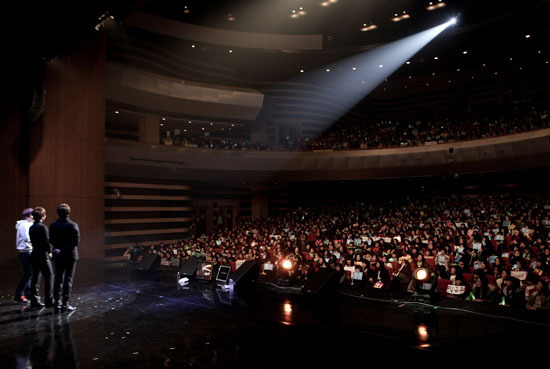 The both of them greeted their fans through 'KyuJong & YoungSaeng AND Story in Seoul' held on 4-Dec at Seoul SangMyeong University GyeDang Hall. This is their first event held under their new agency, their official appearance after 1 year. When I saw them at the waiting room, I saw both of them having mixed feelings like they are debuting again. Their gratefulness towards fans who filled up all the seats, the excitement about standing on the stage which they yearned for, etc, all these were written on their faces. Guests who went their without prior notice, also surprised them. 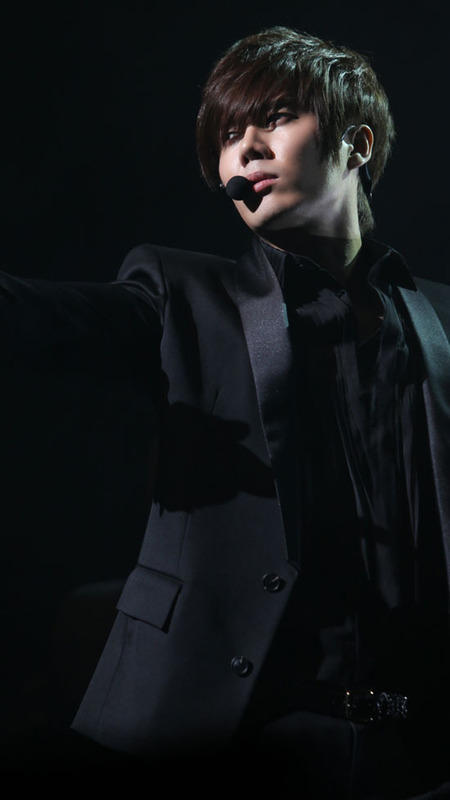 He is none other than Park JungMin. 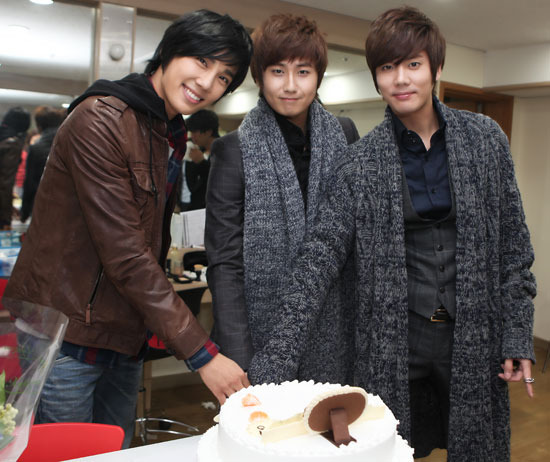 He supported them for their new beginning with a huge cake. Sportshankook was there at the fan meeting which is filled with Kim KyuJong and Heo YoungSaeng's charisma. 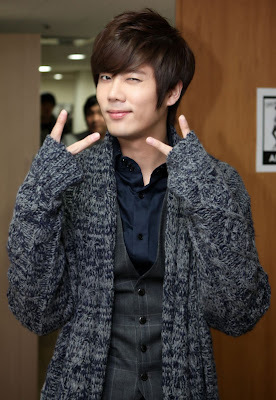 At the waiting room, Kim KyuJong shows a sweet expression and faces the camera. Mischievously squirting both his eyes. This is one photo of Heo YoungSaeng in preparation before going on stage. Wanting to show his best image, he ‘clamped tight’ his lips and observed. Park JungMin came to the waiting room without any prior notice. He came to encourage them in case both of them were too nervous. Putting candles on the cake, they commemorate this special day together. Can see that both of them are happy from the bottom of their hearts. 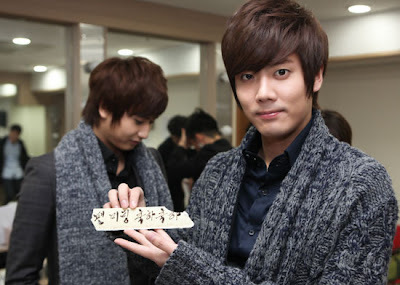 Kim KyuJong proudly held up the decorative piece which says ‘Congratulations for your fan meeting’. # Finished preparation for going up the stage! Finished the preparation for going up the stage of Kim KyuJong and Heo YoungSaeng fan meeting. 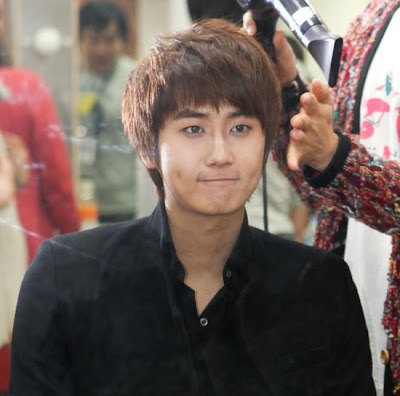 Heo YoungSaeng loses his mischievousness, showing his serious side. 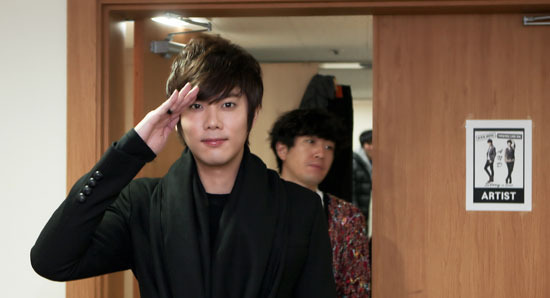 Kim KyuJong did a salute and shows his confidence. 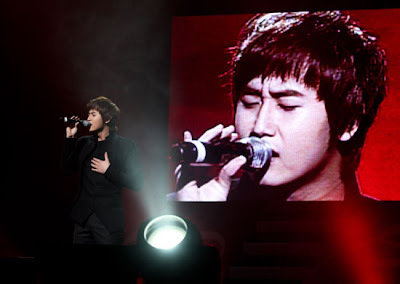 Kim KyuJong and Heo YoungSaeng sang ‘I love you. Sorry’ and ‘Never Let You Go’ respectively. Their stage manner have not gone rusty and the audience let out their exclamation at their deep emotions. Finished their 1 hour fan meeting, both of them greeted their fans. Even though they overrun the 1-hour, the regretful expression of both of them can be seen. 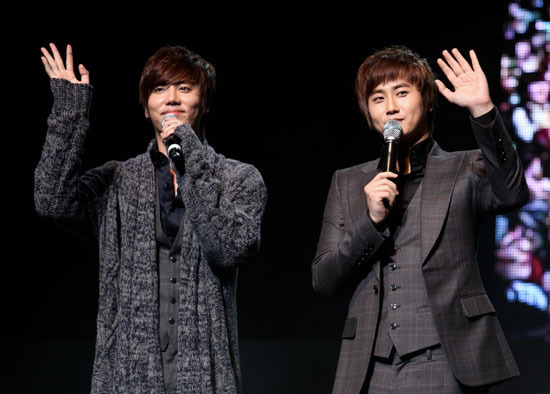 Kim KyuJong to be acting, Heo YoungSaeng to be solo singer, they promised they will stand in front of their fans again as soon as possible.